You can listen to Hit Music Radio by clicking on the ‘Listen’ link at the top of the page or use one of the following players listed below. 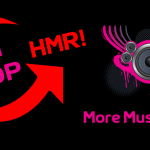 You can listen to Hit Music Radio on your WIFI Enabled Radio, just search the directory for ‘Hit Music Radio’. If you have an internet radio and can’t find us, please let us know by contacting us.